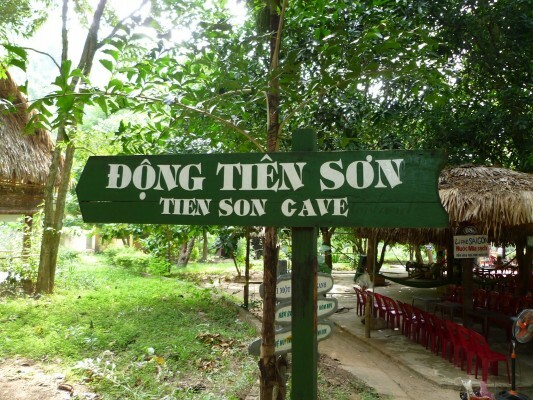 After visiting Phong Nha water cave, commonly, tourists will go to Tien Son dry cave. 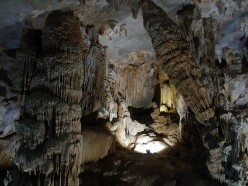 The name “dry cave” come from the reason that it is not connect to Phong Nha, it is located at 200 meter height comparing with the ceiling of Phong Nha cave. 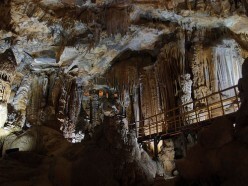 Tien Son cave lasts 800 meters, and also the twin of Phong Nha Cave, a masterppeice of stalactite. 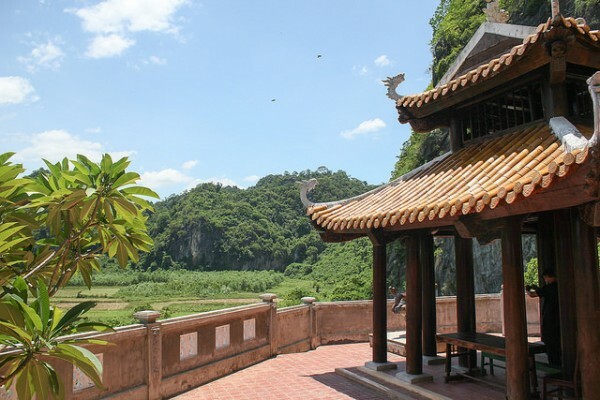 It is said that if Phong Nha is a palace in water, Tien Son is described as palace in the heaven. If Son river and Phong Nha cave bring a moving story of monk who saves human bein, Tien Son Cave is romantic love story between a brave boy and beautiful fairy girl who holds precious sword of the Sky. Tien Son Cave uplink winding over halfway up the mountain, an altitude of about 200m above the Phong Nha, Tien Son Cave stunning fitted with legends and tales with friendly people. Their love not only tacked with difficulties, obstacle but also is beautiful and faith. 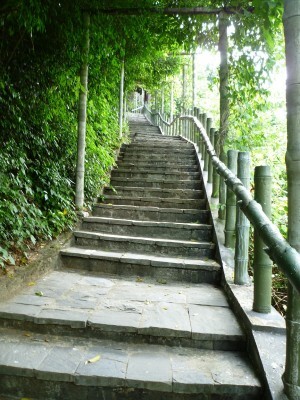 This is reason why many couples go to Tien Son Cave for demonstrating their love for their lover.